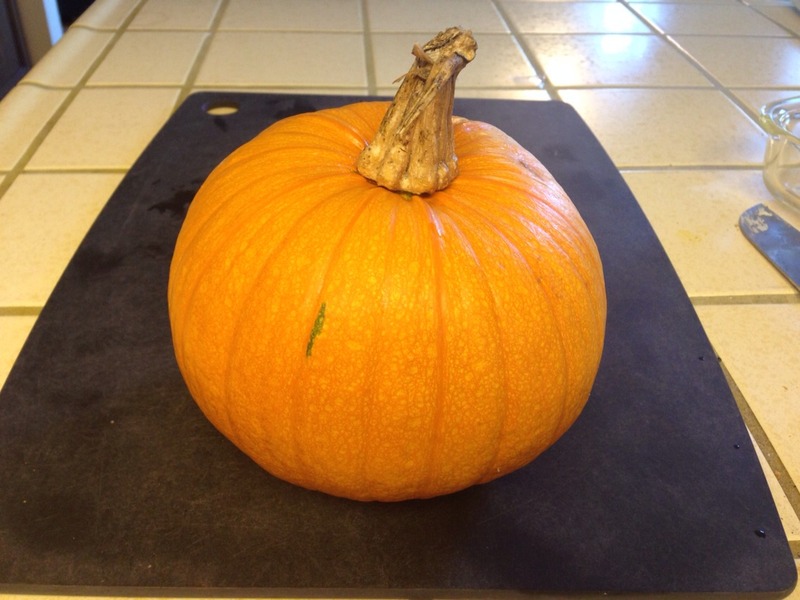 Place the neck pumpkin into a baking dish, with the rind pointing up. Add 1/4 inch of water to the dish. Add 1/4 inch of water to the dish. Set the baking dish in the hot oven.... Pumpkin and carrot soup is everywhere. Just like pumpkins themselves at this time of year, you can’t turn without seeing one. They’re virtually throwing themselves at you. Then, cut the pumpkin in half. I find it's easier to cut in a square around the stem and that weird spot on the base, since they're pretty woody areas. It's best to use a non-serrated knife for this, and to be careful. Make a lot of small short cuts rather than trying to go all the way through in one shot. I add water when baking for one thing, because my cut up pumpkin pieces seem to burn without it. Yours don't? And, I don't use the food processor at all. I used a colander and just push the pumpkin through. A little more labor intensive, and I should probably switch to the food processor, but there's something about the slow processing that I love. To make a savory pumpkin puree, add butter, salt, and pepper to taste to the pumpkin puree. If you would like a sweeter side dish, add a bit of brown sugar. This dish is a great menu substitution for mashed potatoes (and is healthier).